Four Seasons Furniture Reviews - Cover Your Furniture With Slipcovers! / Four Seasons Furniture Reviews – Cover Your Furniture With Slipcovers! Four Seasons Furniture Reviews – Cover Your Furniture With Slipcovers! If you have been putting on a search for a new set of living room furniture then, you might have come across Four Seasons! 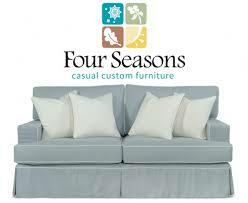 Four Seasons has been around for about fifteen years, and they really focus around sofas, sectionals and accent chairs! Along with these pieces, one of the huge methodologies of Four Seasons is their use of slip covers. In this post we are going to review quite a few different pieces, and hopefully you will learn something from our Four Seasons Furniture Reviews! I was first introduced to Four Seasons when I met their staff at a convention. They showed me around some of their products and they even gave me some insight on how the act as a company. Four Seasons really focuses on the user, and supplying what the customer wants. They have done this by focusing on slipcovers with their furniture. This allows the customer to change their slipcover on their furniture whenever it gets dirty or whenever they want a new look in their living room. It seems to be a common theme among furniture manufacturers to not put much focus into their websites. Similar to our Southern Motion and Jonathan Louis reviews, Four Seasons could spend some time on their website to make it more accessible and informative for their visitors. That being said, hopefully I can fill in the gap, and help give you some insight on their pieces! Now that we have helped to familiarize yourself with Four Seasons, it's time to jump in, and give you what you've all been waiting for, reviews! As I mentioned above, Four Seasons really focuses on a few different pieces of furniture. Generally these are sectionals, sofas, accent chairs and other chairs, and a few other pieces, while still focusing on a neat slipcover design to give the customer customization. Thankfully with all these different types of furniture pieces, there are quite a few different options available for you! Overall, I've had some great experiences with Four Seasons, and they really do have some great furniture! For each of the following reviews, I did my best to be unbiased and provide you with factual information to help make the buying process that much easier. For all the pieces that I review, I personally have either owned, or had an extended amount of use on each piece. I hope you enjoy! One of the most popular pieces by Four Seasons has to be their sofas! Four Seasons feature sofas of all shapes and sizes, including sectionals, love seats, sleepers and chaises. Along with this, their state of the art slipcover design makes sure you'll get a style you will enjoy! Before we get into Four Seasons Sofa reviews I have a few questions to ask you, to help you get a better idea on what you want! How large do you want your sofa to be? 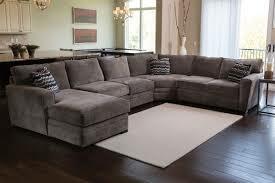 There are love seats, sectionals, and chaises that all fit a varying number of people. After choosing your size, you want to select which collection of piece you like. Each collection has it's own features and styles that you can pick through. From there you get to select which type of slipcover you want for your sofa! There are hundreds of options and it really lets you select something you absolutely love! I always thought Four Seasons reminded me of Arhaus sofas in the sense of design and supportive comfort level. Along with this, the slipcover lets you get the exact look you want, and allows you to change slipcovers if you want some variation. Now that we have mentioned slipcovers, it's time to really get into it. A slipcover is a fitted piece of fabric that fits snuggly over a chair or sofa and protects it from spills and damage, while giving it a fashionable look. Four Seasons is known for their huge amount of slipcover choices, and their great looking designs. How Do You Care For Your Four Seasons Slipcovers? Slipcovers for pillows and cushions should be reversed every once in a while. Cushions when rotated, should be done side to side. When vacuuming, us a soft brush attachment. Machine wash on cold and dry on low heat or air dry. Since writing this post, I have gotten a few messages about if Four Seasons makes replacement slipcovers for their pieces incase a slipcover rips or breaks. And thankfully they do! All you have to do is visit your local dealer and you will be able to pick through and get a replacement for your specified furniture piece! In the end of the day, Four Seasons makes great sofas and couches and I definitely recommend them if you are interested in picking out a few new pieces for your living room! Of course, whenever you are considering spending a good amount of money on furniture, you want to make sure that it is high quality and it has the durability that will last you years! I was the same way when I bought my first 4 Seasons furniture piece. I would argue that the quality and durability is slightly lower than CR Laine's durability, but still pretty great. 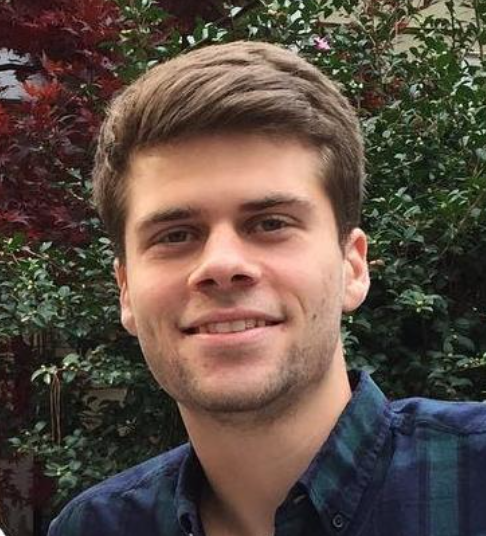 "I have a pair of Four Seasons sofas. They are slipped in a white cotton/poly blend that has held up very well since we bought them one year ago. The fabric is from the Outdura line, which is similar to Sunbrella. With three children in my house, I won't ever consider having another sofa that isn't slipcovered. They wash up very well and if you put them back on while slightly damp, the shape looks good, although they might need a steamer touch-up. Now, the slips don't have that "tight", clean look that upholstery has, but it's worth it to me to be able to wash them. My only regret is choosing the style sofa that has four loose cushions on the back, because they never stay put. Looks messy sometimes." I've had similar experiences to this testimonial. I love my Four Seasons sofa and the ability to have a slipcover that is easy to clean makes it all the much better! Along with that, I can easily buy a replacement slipcover in case something happens to the original! If you are looking for a replacement, then consider looking at Rowe Furniture for a replacement as well! Although I and this testimonial had good experiences in quality and durability, I started snooping and looking around for any other opinions I could find. The general consensus is that Four Seasons makes extremely comfortable furniture that are pretty durable, with loads of customizability. The only downside with this furniture is that because it is slipcovered and not full upholstery it might not be tailored as neat and tidy, but that's the biggest trade off. About 2 months after I purchased my slipcovered Four Seasons sofa, my daughter sat on the arm with a thick layer of bicycle grease on her leg. Of course I had a huge dark black streak in a very visible spot. After losing my mind, I quickly removed arm slip cover and squirted the stain with Dawn dish detergent. The grease dissolved with gentle rubbing under cold water. I then laundered the cover in cold, hung to dry. Put it back on the sofa the next day… no stain, no fading or shrinking, and good as new. Wonderful product. Keep in mind that even if the stain had not come out, all I would have had to replace was the one arm cover. It’s the only upholstered product I’d ever buy other than leather.